...Nashville, Indiana and Bloomington, Indiana, just off St. Rd. 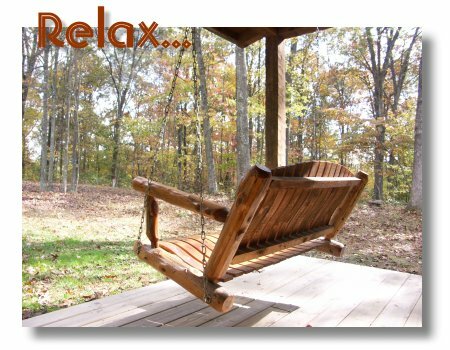 46 across from the old Ski World Recreation Area, secluded atop a wonderful wooded ridgetop. 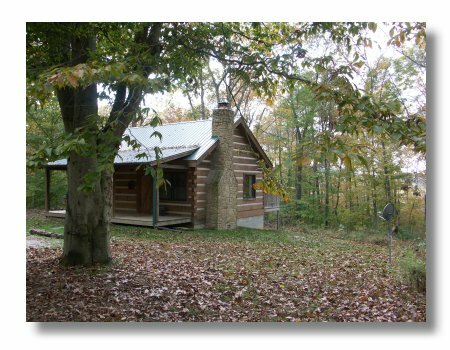 This log cabin is perfect for IU parents visiting students on the campus of Indiana University or a romantic couple wanting to get-a-way to Brown County for a long weekend. This cozy log cabin is close to Mike's Music & Dance Barn, one of Little Nashville's best kept secrets. 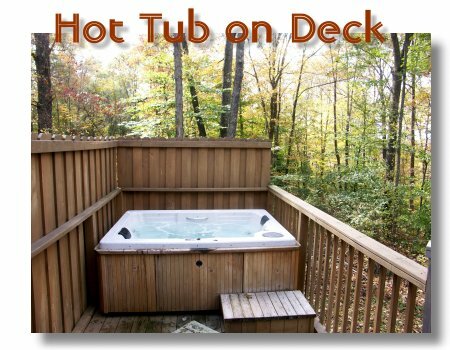 Red Cedar cabin is perfect for two adults, secluded in the woods, with a relaxing hot tub on the back deck, queen size bed in the comfortable bedroom, with a romantic whirlpool bath and large luxurious shower. This vacation cabin has a full kitchen, and a cozy spot for your morning coffee with a wonderful view of the woods. The cabin is full of wonderful red cedar furniture. You are just a few minutes away from Brown County State Park or the quaint village of Nashville, which features over 250 shops offering all forms of art, country crafts, jewelry and hard to find antiques.